Crowdfunding campaigns continue to raise billions of dollars from around the world. They are one of the largest sources of revenue for many nonprofits. This type of fundraising continues to grow. With the aid of social media, crowdfunding has become the largest financial source for new projects. Crowdfunding equals social media and email marketing for the campaign team, but it is well worth the effort. What’s unique about UHelp is that it provides a crowdfunding mentor for every project! The mentor guides the campaign owner through the creation and the GO LIVE launch of their campaign. This unique, human feature of UHelp allows you to develop customized projects, with social media strategies tailored to your creative or nonprofit cause. The successful fundraising depends upon the campaign design and even more so on the owner’s willingness to build out the their audience and follow the mentor’s proven strategy. Let’s take a look at a nonprofit, ACRI, that is working to raise awareness for their cause. His next step is to Get Social! Develop his social media skills to share their project with people all around the world. Use platforms like Facebook, Twitter, and all other social media to get exposure for your project. If people don’t know, they won’t donate! Crowdfunding is an integral part of your organization. It is a full-time job, and it requires expert strategies for networking and promotion. Go to UHelp.com and sign up to create your project today. We offer a mentor to guide your campaign from beginning to end. 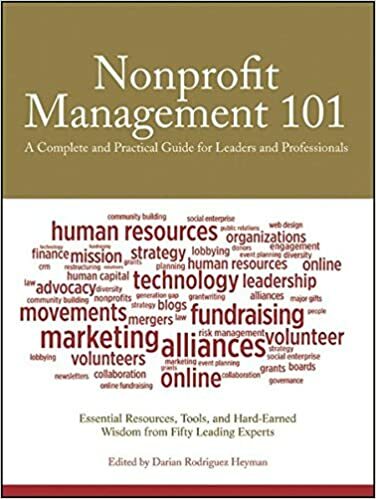 For more tips on managing your nonprofit, Darian Heyman’s book, Nonprofit Management 101: A Complete and Practical Guide for Leaders and Professionals, sets the definitive groundwork for leading a successful nonprofit. Heyman covers every topic from fundraising to marketing. While this handbook provides a great reference source, visit Uhelpfund to learn how to begin a successful crowdfunding campaign for your nonprofit. After all, what a great site and informative posts. I will upload an inbound link – bookmark this web site. Regards, Reader. Great write-up. I’m a regular visitor of this blog. Maintain the excellent operation, and I am going to be a regular visitor for a long time. This website is really a walk-through for all of the info you wanted and didn’t know who to ask. Everything is very open and there was a very clear explanation of issues. This was truly informational. Your website is very useful. Thanks for sharing. Very great post. I simply stumbled upon your blog and wanted to mention that I have really enjoyed browsing your weblog posts. In any case I’ll be subscribing for your feed and I hope you write again very soon! Thanks for the effort, keep up the good work. Great work, I am going to start a small Blog Engine course work using your site. I hope you enjoy blogging with the popular BlogEngine.net. The thoughts you express are really awesome. Hope you will write some more posts. Thanks, Cody! If you’re interested in writing for GrantNews.press, just sign up as a writer and pitch an article idea. Hi blogger !! I read your articles everyday and i must say you have hi quality posts here.